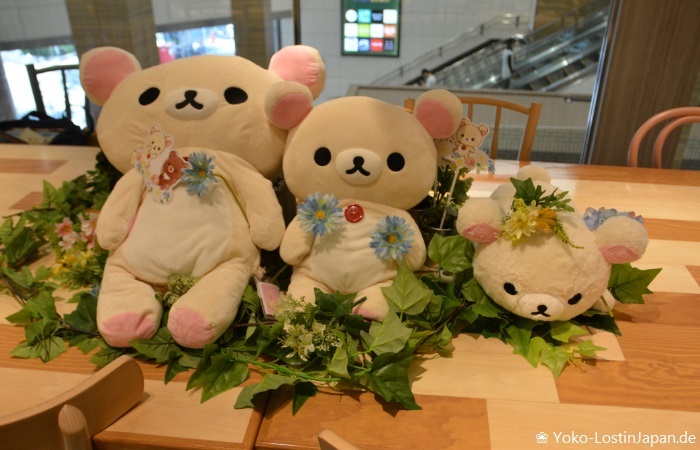 Korilakkuma Café is back and this time collaborating with Hands Café (ハンズカフェ). 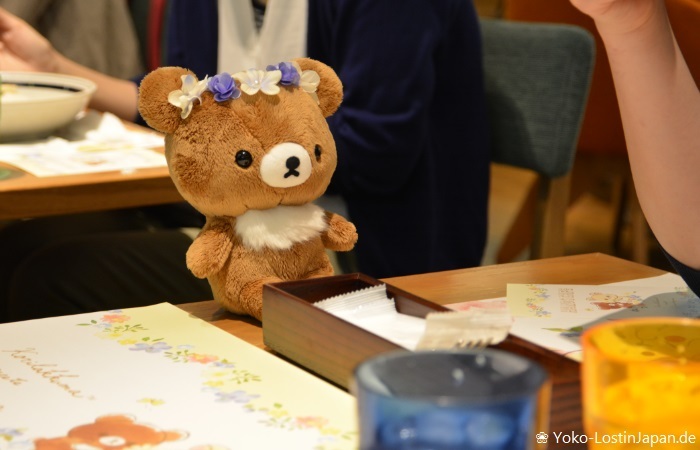 Only for a limited period of around one month you have the chance to eat a unique menu with the cute bears Korilakkuma and its new friend Chairoikoguma. There are six cafés around Japan joining this event. The one in Tokyo is located in Harajuku. But you also can find it in Osaka, Fukuoka, Saitama, Kanagawa prefecture and Hyogo prefecture. Notice you will need a online reservation from the official website if you want to visit the cafés in Tokyo, Osaka and Saitama. This will cost you an extra 648 yen per person, however, for this you receive a cute micro fiber towel on the day of your visit. At the other cafés you just need to go buy and probably wait in line if it is crowded. Taking a look on the menu, you can find three cute main dishes, three sweet desserts and three sorts of drinks. It was very difficult to decide which one we should take. The main dishes include teriyaki chicken burger, white curry and taco rice, all designed in a bear shape. 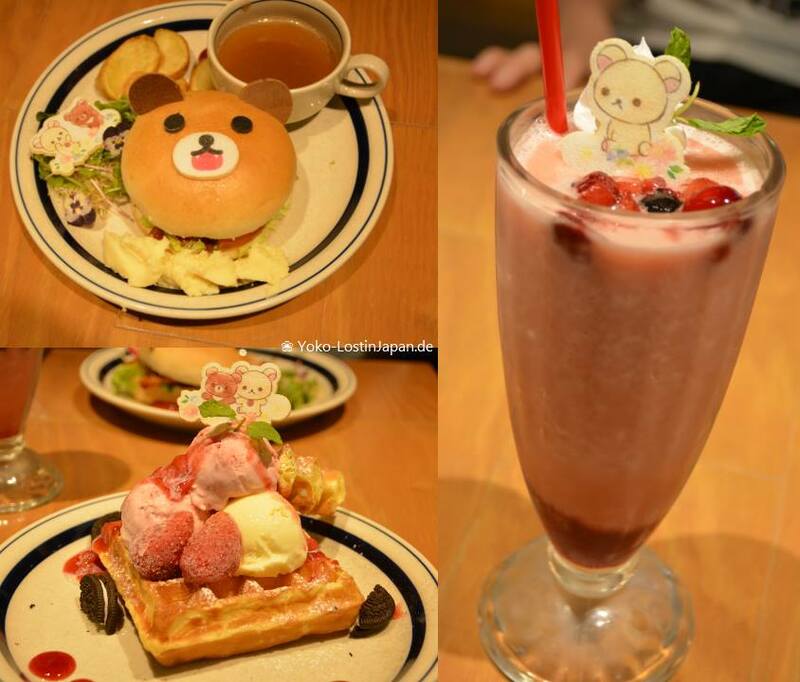 The desserts all have strawberries, because Korilakkuma really loves them. Here you can choose between pancakes, parfait and waffles. The drinks come with two different kinds of smoothies and a café ole. For sure, all the dishes have their price, but that’s normal for character cafés. 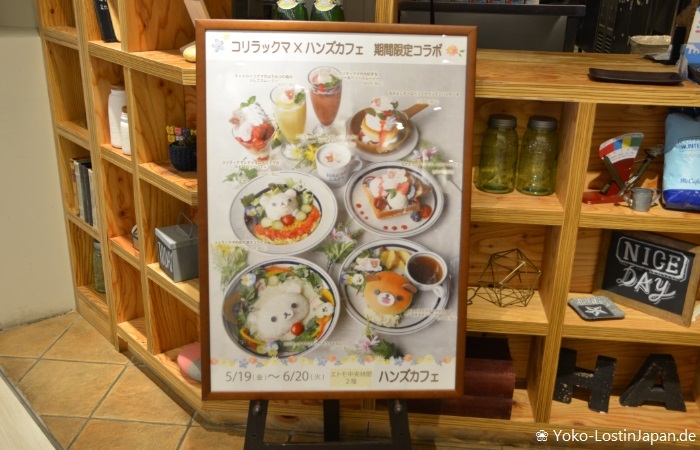 Next to the Rilakkuma menu you also can order from the normal Hands Café menu. 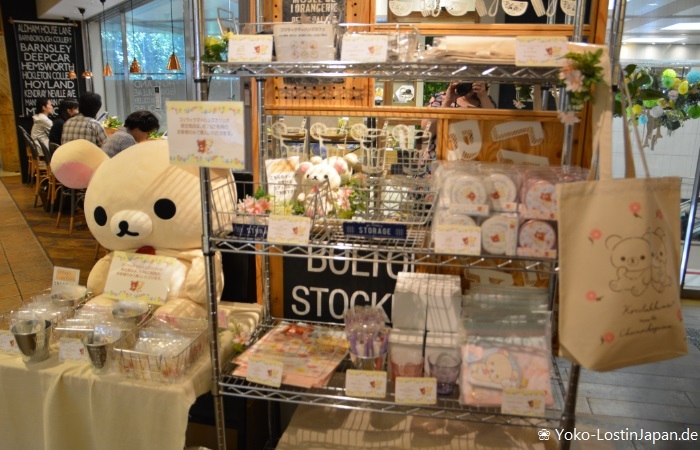 We visited the Korillakuma meets Chairoikoguma Café at Chuo-Rinkan (Kanagawa pref. ), because it is the closest to our home. There is no reservation system there, so we were lucky we didn’t need to wait in line when we arrived there on Saturday around lunch time. The café has some plush toys decorated at the table and a few ornaments at the wall. The food we had was delicious and came quickly. We spent a nice time there. You want to go? Then hurry up! There are only two weeks left to enjoy this character café. But don’t worry. Because these little bears are super popular, for sure, new cafés will open in the future. Find all information on the official website. For sure you also can buy goods there. Sanrio's Blue Iconic Penguin Tuxedo Sam is doing a limited time collaboration cafe at THE GUEST(cafe&diner ), in Shibuya's ShinQ.tx_hikarie_cafe_01.png 107.